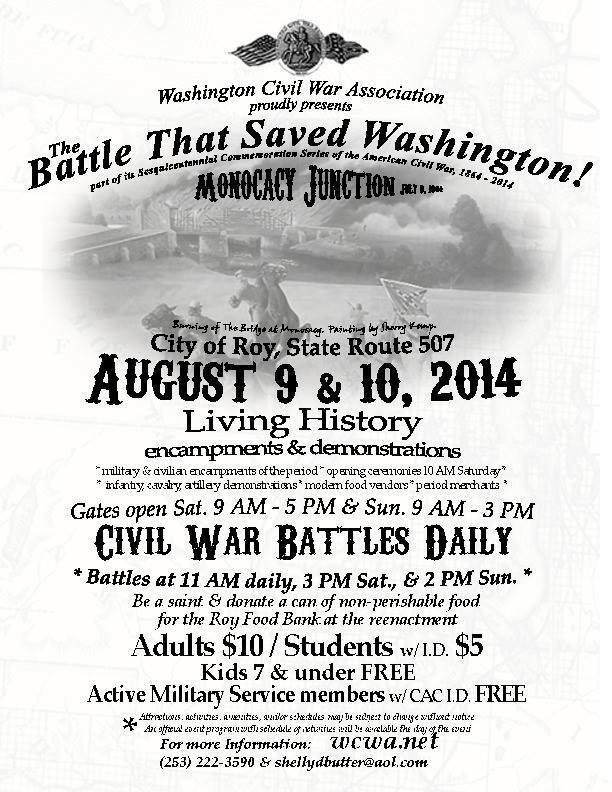 The City of Roy, 8 miles south of Spanaway on highway 507 will be the site of a Civil War Re-enactment, Aug 9-10. This weekend by the post office. Come enjoy a trip back into history. Previous Post Barnyard Dynasty – it’s time for the Fair! Next Post Celebrate My Drive – and prizes?